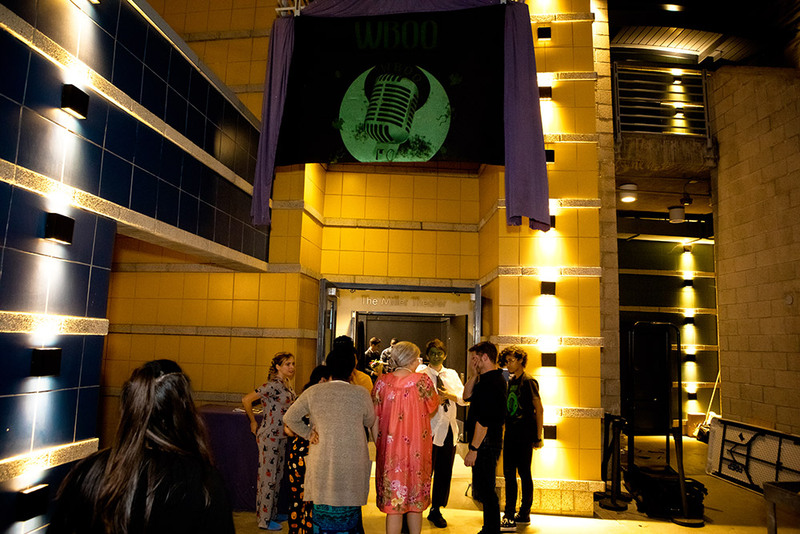 WBOO: A Halloween Radio Variety Hour is a hilarious take on a 1950s radio variety hour that challenges our notions about live theatre. 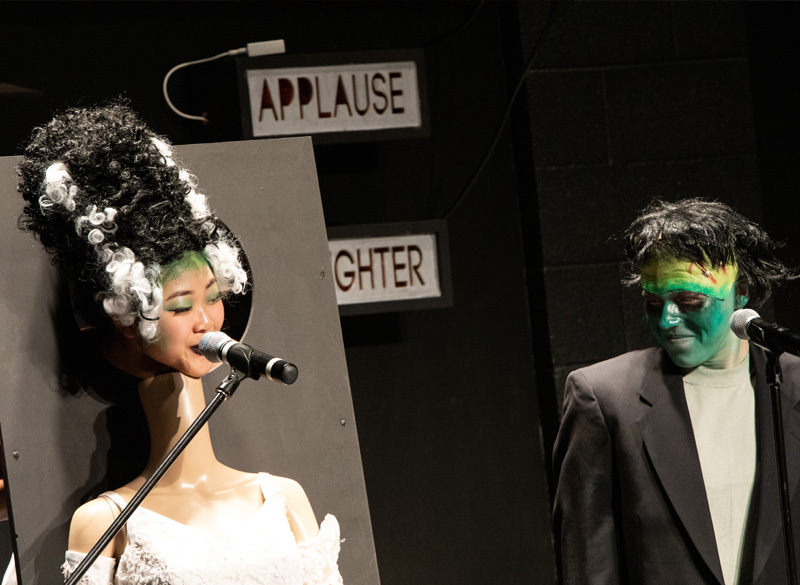 More of an experience than a production, the play was staged in two locations. The majority of the audience was in Miller Theater, while some guests were at listening stations with actors in the Chandramohan Library. Each performance provided a unique experience, with improvisation and audience participation built in. 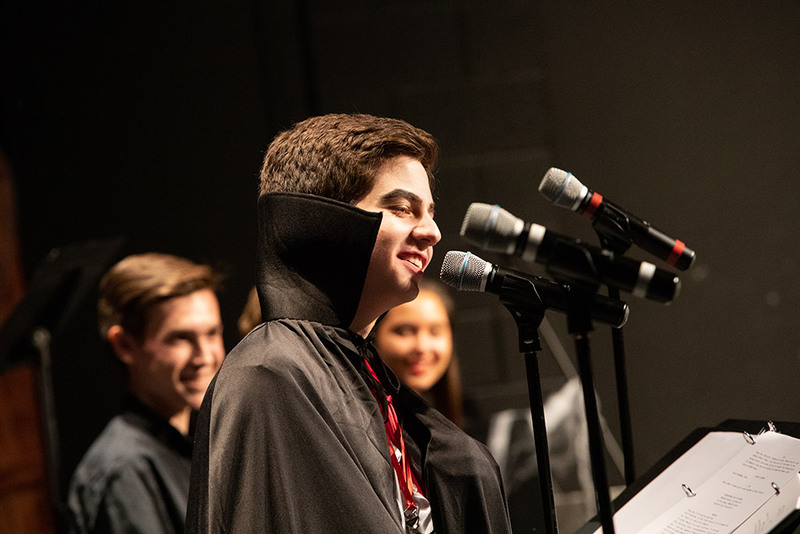 The production was written and directed by performing arts teacher and ComedySportz coach Jen Bascom, with a goal of representing her students’ skills. 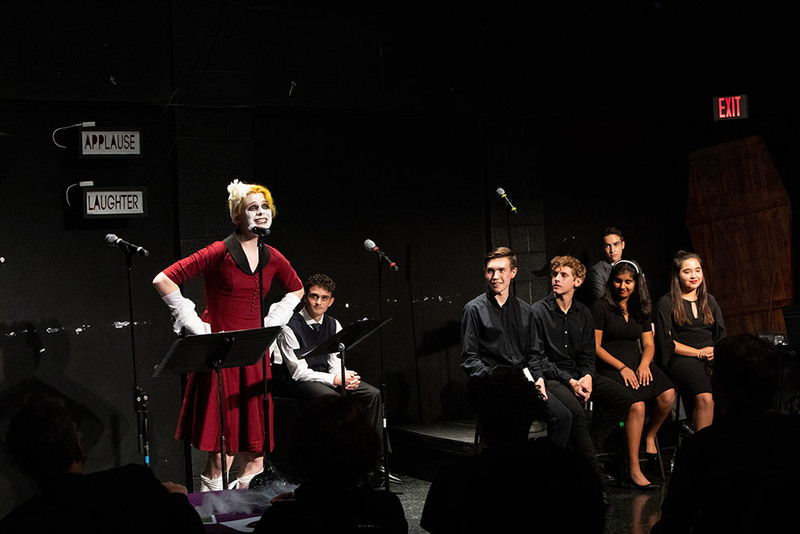 In addition, she wanted to give her students a taste of the contemporary theater scene. 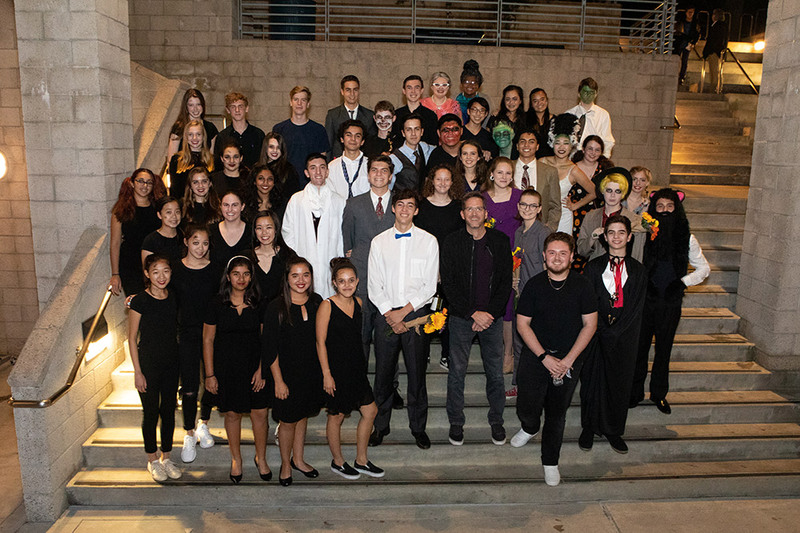 Among the many characters represented were Dracula, the Wolf Man, Frankenstein and his bride, as well as the Mummy and a host of other ghoulish guests, plus the zombie choir (the Flintridge Singers) and the Skeletones Band (members of the Prep music program).